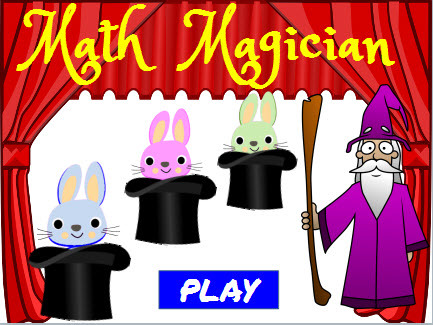 You must match the sign of the solution to the expressions on the bunnies in this Math Magician Integers Game. Drag and drop the bunny into the correct basket to make it disappear and score points to win. Return from this Math Magician Integers Game to the Middle School Math Games webpage, or to Math Play.